According to a report by MSN, Arsenal are eyeing a surprise swoop to sign Mexican international Miguel Layun with Porto prepared to cash-in if a club meets their £5.2m asking price. Layun spent the second half of last season on loan at Sevilla but the La Liga side aren’t expected to pursue a permanent deal so the versatile midfielder is on the market this summer. 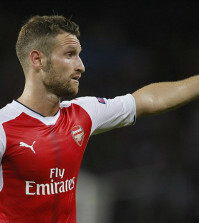 The 29-year-old has already attracted interest from a number of clubs with MSN claiming that West Ham, AC Milan and Marseille are all keen on the player but it seems Arsenal have now joined the chase, too. 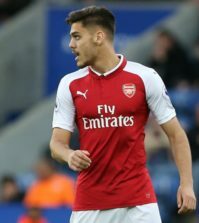 MSN cite a report that originates from Spanish outlet AS that claims Arsenal are now eyeing a swoop for Layun as Unai Emery continues to overhaul the squad he inherited from Arsene Wenger. Our new head coach has already snapped-up right-back Stephan Lichtsteiner from Juventus on a free transfer while goalkeeper Bernd Leno arrived from Bayer Leverkusen earlier this week. However, Emery is also hoping to strengthen his midfield options and it seems he’s identified Layun as a possible recruit with MSN claiming that Porto are ready to cash-in at just £5.2m this summer – which is perfect for Emery as he’s working within a tight budget. Layun has been playing in midfield for Mexico and played a key role in helping them secure a shock 1-0 victory over reigning World Cup champions Germany but he’s also capable of playing in defense. However, our reported interest in Layun is somewhat surprising given we’re already believed to have secured a deal to sign Lucas Torreira from Sampdoria while we’re also being linked with Ever Banega. 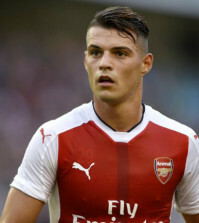 I don’t see the Torreira deal being in jeopardy so perhaps Emery is eyeing Layun as a possible alternative to Banega, as he’s expected to be in the market for two midfielders with both Santi Cazorla and Jack Wilshere leaving this summer.